From the outside the new terminal cuts a distinct profile. The abundance of windows ensure the terminal is light and airy during the day. To quote the old saying, time flies. 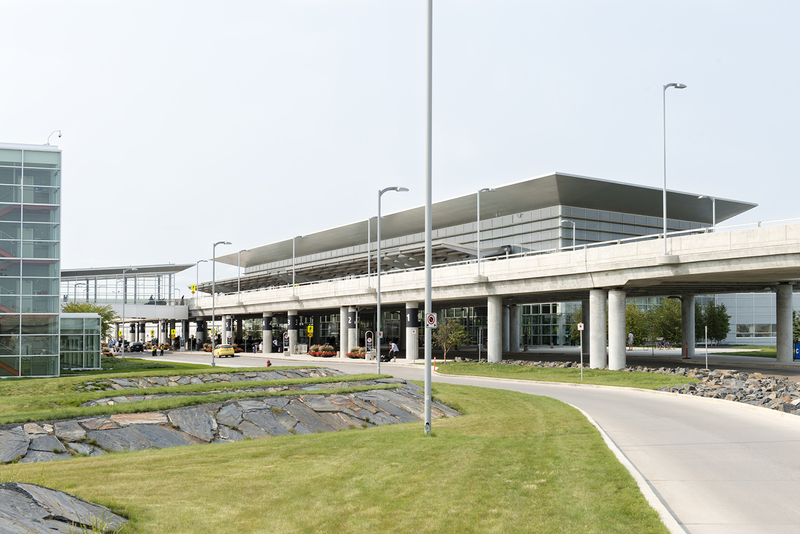 It sure has at Winnipeg Richardson International Airport, which has just celebrated a fantastic anniversary: our beloved terminal just turned five! If the airport was a city, think of the terminal as downtown — it’s where a lot of the excitement happens. 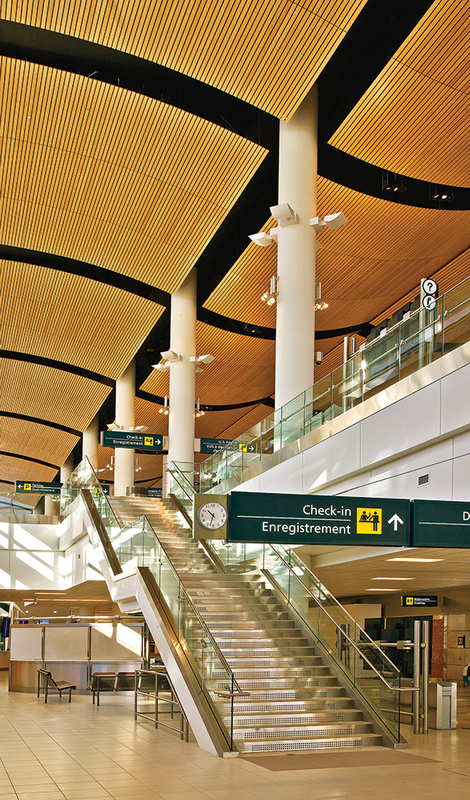 Winnipeg Airports Authority is en-route to a record year, and that’s because travellers have come and gone in spades through our terrific terminal. The airport structure is primarily glass, and the design allows for a premier view of planes and activity on the airfield. It also allows onlookers and employees alike to watch planes take off as well as come in for a landing. On the site itself, there are a number of outdoor benches, picnic areas, and landscaped sites for employee breaks that round out our campus. 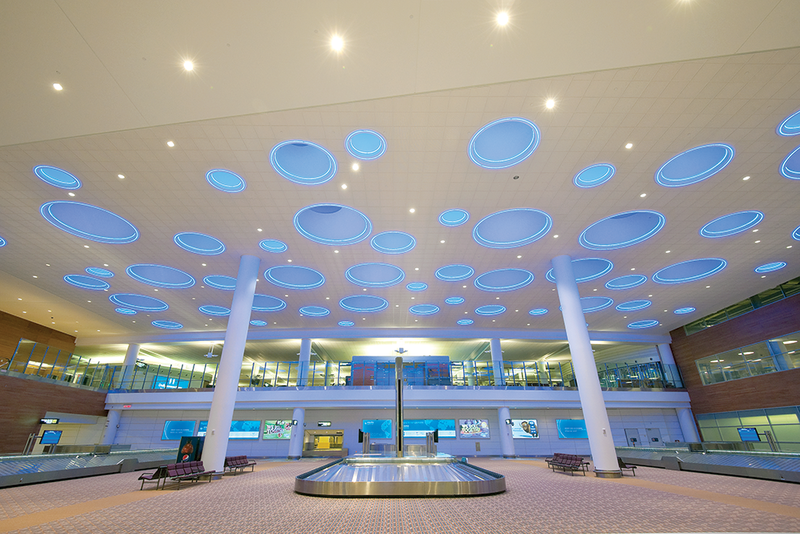 Speaking of the environment, Winnipeg Richardson International Airport is the first terminal in Canada to achieve Leadership in Energy and Environmental Design or LEED certification, making it one of the most environmentally friendly in Canada. Manitobans will be at ease knowing that they are travelling in an environmentally conscious manner! The terminal was also celebrated with a Premier’s Award for Design Excellence. Stantec Architecture Ltd. with Pelli Clarke Pelli received an Award of Merit as part of the Premier’s Awards for Design Excellence, which honours significant contributions made by architects and designers to the social, cultural, artistic and economic development of Manitoba. The excellence in art extends to the artwork in the terminal as well — iconic pieces such as Warren Carther’s “Aperture” or Ione Thorkelsson’s “Incoming” are ingrained in the building for good reason. Our airport welcomes 10,000 passengers a day on average. The new terminal is more than just a beautiful building that better serves travellers’ needs — it also helped reshape and refine staff service at the airport for all organizations operating there. The airport and surrounding businesses on the campus employ a program called Campus Crew. 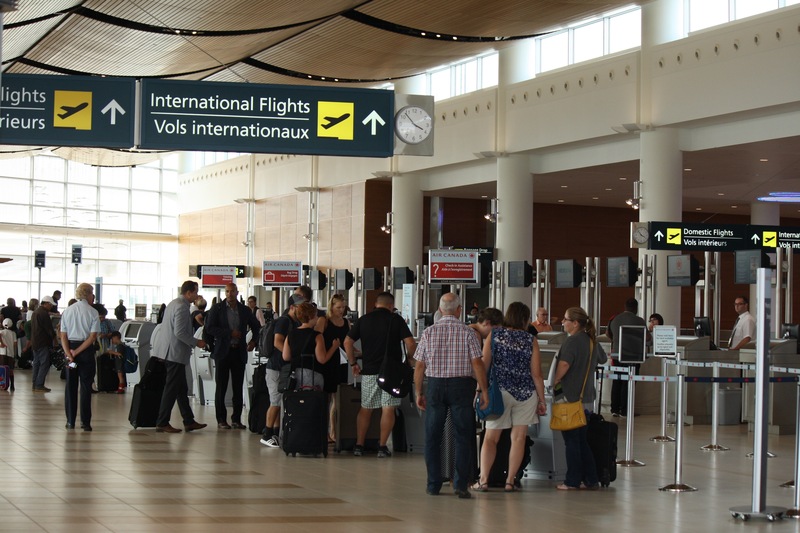 This is a customer service culture developed to make sure every visitor to Winnipeg Richardson International Airport has a great experience on the campus. 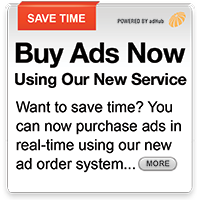 It also acts as a link for tenants and service providers at the airport. Ultimately, Campus Crew ensures that everyone is on the same page when it comes to general airport knowledge and providing an excellent customer experience. The milestone was punctuated with a vibrant and lively travel expo, YWG: Your Winter Getaway Starts Here. More than 500 attendees shared some birthday cupcakes with YWG staff in a celebration that included behind-the-scenes tours, trip giveaways, and a couple special appearances. Here’s to many more! The baggage claim and arrivals hall with its iconic lighting.